As businesses and individuals continue to commit to helping reduce adverse effects on the environment, green consultants remain in demand. If you have a passion for the environment, are creative and eager to learn new ways to conserve and recycle, and enjoy teaching others about the environment, a small business as a green consultant may be the right option for you. There are challenges to be aware of as well. Getting certified costs money and the rapid change in the legal landscape can be difficult to keep up with. But, if you are prepared to follow your passion, you've got to face the realities of all that entails. The work you do will help the environment. The range of environmental issues that need attending to is huge. From deforestation to energy conservation to wastewater treatment, you can turn what you feel most passionately about into a career. You have a broad target audience and can work with businesses, individuals or families. Green practices are becoming integral to business, and with such focus on environmental issues in the media, individuals and families want to contribute to the betterment of society as well. With expertise in a particular field, you will be primed to assist their needs. For example, if you have a real estate background, you could help businesses find eco-friendly products that would suit new construction. Or if you are experienced in working with state, local, or federal governments, consulting on how to reduce office waste could be a way to go. You can consult in the areas you feel strongly about. Whether you choose green business, also known as mission-based business, green marketing, environmentally friendly household management, green pet care, and the like, you are dedicating your time to issues that matter to you personally. This is the greatest reward. Green consulting can be an ideal part-time business. Organizations like Green Irene can help train you to become an eco-consultant on a part-time basis. 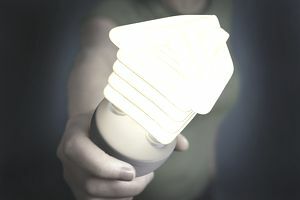 Here, you'll visit people's homes and recommend changes and products that will help people conserve energy and water. You could start your own green internet store or work with an existing one like OnlyGreen4Me, which houses over 6,500 products and works with independent eco-entrepreneurs. It can become cost-prohibitive. You may need to take training and become certified to be a green consultant. This expense may be more than you expected, depending on your financial picture. For instance, Go Eco Certified charges for its eco-consultant program as well as its sustainability administrator program. Expenses are also involved in purchasing the kits and tools required if you work with a green franchise. For instance, UFoodGrill offers you the option to own a grill, so be prepared to have extra money on hand for these efforts. And EcoMaids requires cleaning products. Also, some of the commissions you might receive on your consulting jobs are likely going to be minimal, so you'd have to do a lot of work to start to make significant income. Keeping up with ever-changing laws and regulations. You need to stay up to date on environmental regulations and laws, which can change rapidly. A good suggestion is to monitor the U.S. Environmental Protection Agency site, but this depends on your level of commitment. You need to be able to speak in detail on pertinent laws and regulations, old and new. Constantly trying to come up with creative solutions. You have to be able to think creatively to develop solutions for your clients' everyday environmental challenges. This puts a lot of pressure on you - and frequently, too. Not only will you have to be able to speak authoritatively about laws and regulations, but you have to be well-versed in technology, too. Sometimes, this will be central to a solution. So make sure you are up to that task.